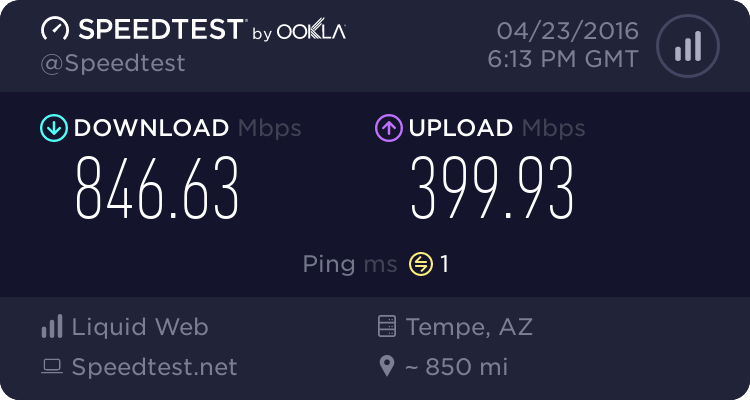 Several important factors to consider before buying a VPS are uptime, Internet connection speed, I/O speed, and CPU performance. Of course you can simply find some result of available benchmark tests submitted by users around the world at ServerBear. But when you purchased the VPS and want to know its performance, then you can simply perform the benchmark test yourself, again, ServerBear will come in handy. 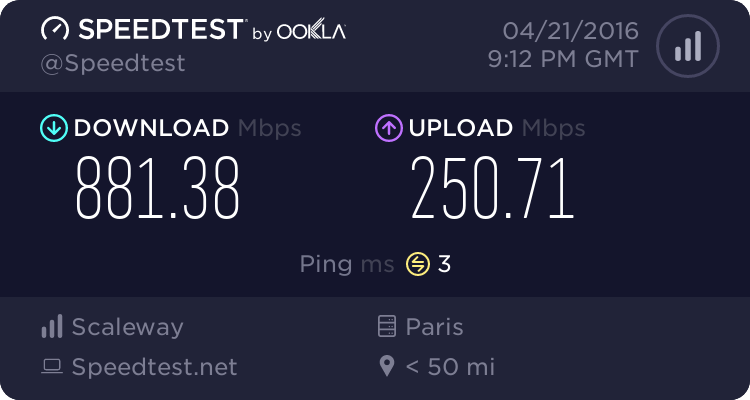 But if you want second opinion regarding how fast is connection speed of your VPS, you can perform simple command line Speedtest.net test. Most Linux-based Virtual Private Servers (vps) does not support GUI (graphical-based interface) so you have to manage everything from command line within your Terminal window or Putty. 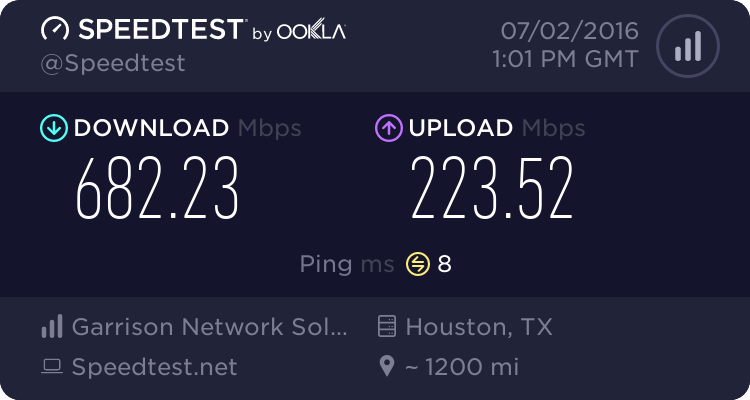 SpeedTest.net is a well known Internet speed test available by simply accessing their site on any web browser that supports Flash. But they do also provide another way to conduct the test, via command line. So here it is the tutorial is all about. Simply open the Share results url on your browser. 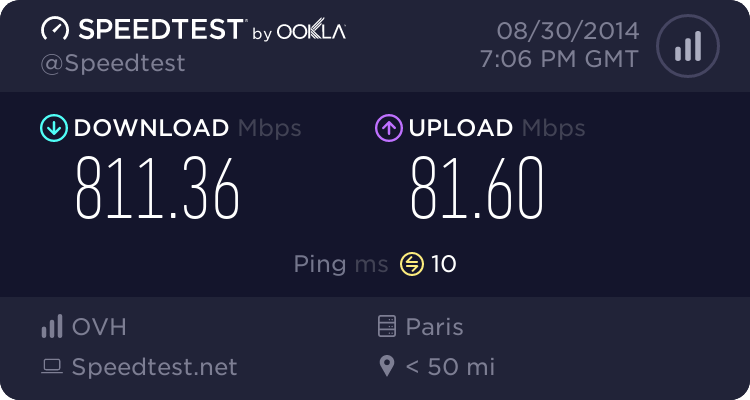 Anyway, normally SpeedTest will search for closest server in terms of geographic distance to conduct both download and upload test. That’s why the result is so high. It will then retrieve available test locations displayed in order based on closest servers first. 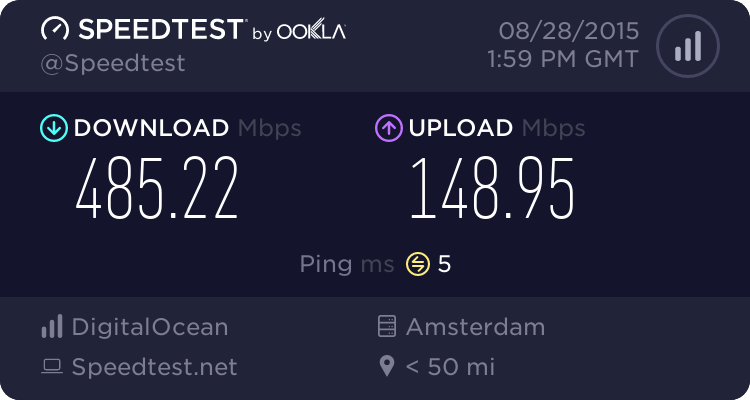 For example, I want to know how fast is the connection speed from my VPS (in Netherland, Europe) to my other VPS (in New York, USA). So I simply choose any SpeedTest.net’s server located within New York. 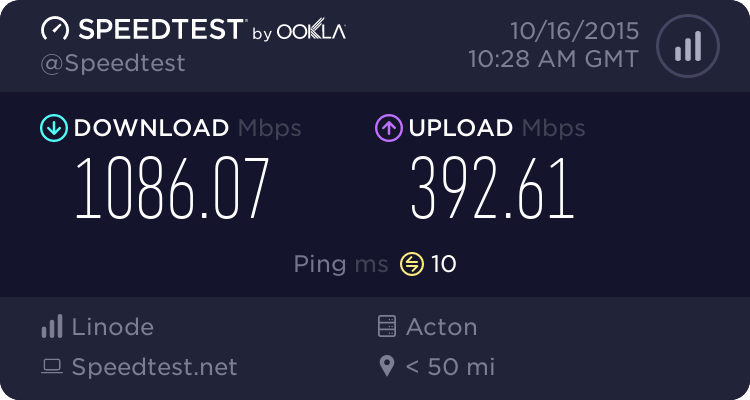 In my example I will pick the one from Rackwire.com at Rochester, New York (Distance: 5951.88 km from my current NL VPS). The location has ID #1239. So what’s yours? Do not hesitate to share it with us (me and other readers) via command section below. Also mention in which provider you purchased the vps from. I’m presssed by my vps. Thank you Sawiyati for this. 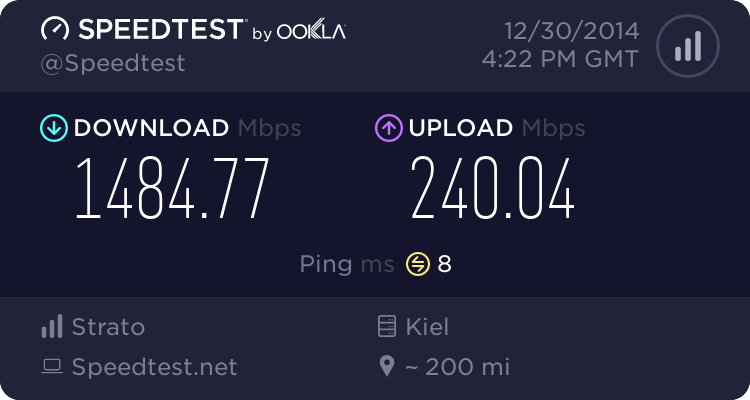 It helped me figure out how is my speed from different locations. It is also great to see you going for your dreams. An even simpler way to do this is to use wget and download a test file from the CacheFly CDN. 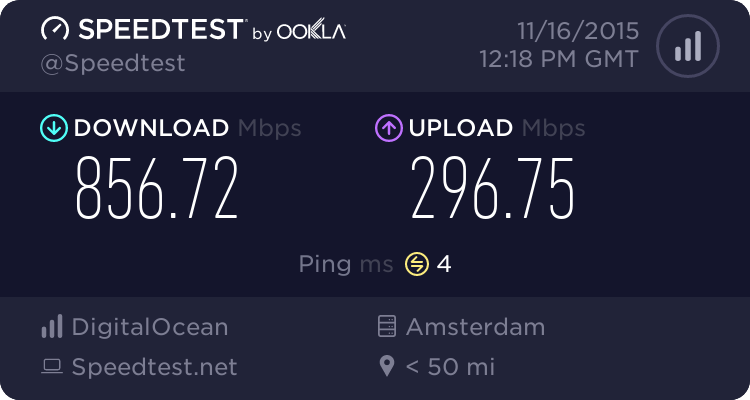 It uses CDN tohelp cut down on skewing the results from latency due to geographic proximity and saves to /dev/null to avoid any bottleneck introduced by writing to disk. helo, how to uninstall it? Is there a script for running this test every hour, and save the results in a file? 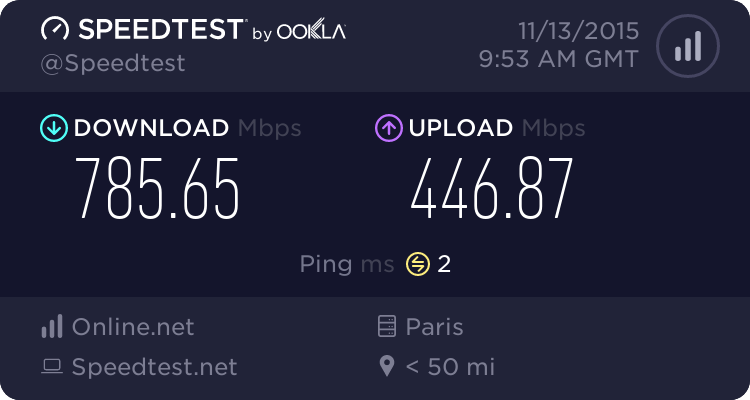 This way you can see a connection performance graph over a period of time! 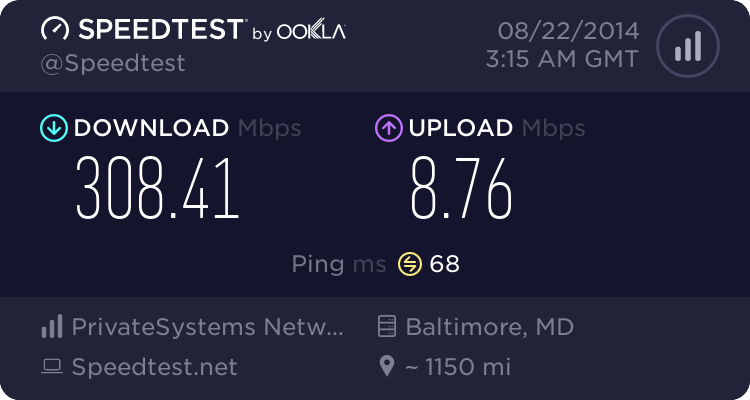 What if I want my result in MBps instead of Mbps. Can I do that. If yes, then how? Please reply. Great post I must admit. 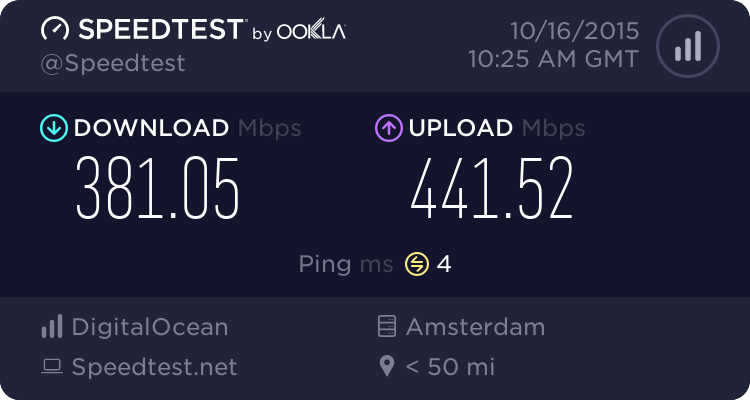 Digital ocean vps AMS1 https://www.speedtest.net/result/4618060493.png not bad at all.